Roulette House Edge - What Is The Casino Edge In Roulette? Roulette house edge is what makes casinos their profit. It provides a predictable long-term advantage to the casino, or “house”, while offering the player the possibility of a large short-term payout. But on the flip side, it creates a long-term disadvantage to the player. What Is The House Edge In Roulette? The house edge (expected value) varies in roulette from 1.35% to 5.26% depending on the roulette wheel layout. French roulette, due to “half back” rule, has a house edge of 1.35%. 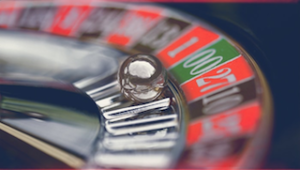 European roulette, with its single zero slot, has a house edge of 2.70%. American roulette, with double zero slots, has the highest house edge of 5.26%. Important: Roulette is in the mid-range for casino games when it comes to the house edge. 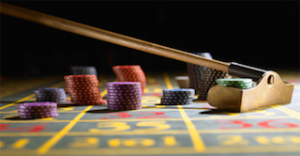 This article shows you how to apply the idea of house edge to your roulette casino game. You will see how this affects which roulette wheel to choose. After that I have outlined how bonuses and comps can reduce the casinos advantage plus I have also mentioned about roulette betting systems. Finally, you will find recommendations for the best online roulette casinos for US and international players. These is the American roulette wheel which has the extra double zero slot. The European roulette wheel which has single zero slot and French roulette wheel which has a special ‘half back’ rule when the ball lands in the zero slot. As you can see, the extra ‘double zero’ on the American roulette wheel makes an huge difference, almost doubling the casino house edge. All even money and 1/3rd bets lose when either zero is hit, which is a bigger disadvantage to players. This is due to an additional rule known as ‘La Partage Rule’. This returns half of the stake of even money bets when the zero slot is hit. This format is less common online. The very low house edge in this format means that many casinos exclude this game from bonus play-though requirements. The online roulette casino market is very competitive thus finding a casino that offers a generous roulette deposit bonus shouldn’t be a problem. There is no reason to stay with a casino that does not offer ongoing deals and promotions to keep your bankroll topped up and helping to lower the house advantage in roulette. Know:The play-through or wager-through requirement. This shows you how many times you need to bet your bonus amount before the bonus cash can be withdrawn. Understand:The percentage contribution that each game makes towards this play through. Typically, slots are 100%, many table games are 25% and Roulette is between 10% and 20%. French Roulette is often excluded all together. People will try to sell you a betting systems that claim to be able to beat the house in roulette games. You should understand that logically, there is no way a sequence of bets can beat a built-in advantage over the long term. These systems can help even out swings in the short-term. In the long run all users however confident and dismissive they might appear will go broke. If you have any doubts, just compare the fact that casinos around the world welcome roulette ‘systems bettors’, at the same time as banning and prosecuting Blackjack card counters who find ways to get a tiny advantage over the house. As you have read above the roulette house edge for a casino does not change much as it is set for each type of the roulette wheel. The American double zero, the worst for the player, is 5.26%, the European single zero is 2.7%, and the French, the best for a roulette player, stands at 1.35%. You may find fancy sites offering roulette house edge calculators but they are just marketing tools which don’t offer any real benefits to the players. Here are two of our recommendations for players looking to keep the casino’s advantage at a minimum while enjoying real money online Roulette games. Betfair is a huge online gambling brand that includes sports betting, poker, and a huge casino among their offerings. They have 14 different roulette games to choose from, including live dealer, mobile and French wheels. This casino has a unique area of their site known as the ‘Zero Lounge’. Here you will find casino games with no house edge at all. The roulette game has no zero slot, meaning even money bets are true even money probability. This is a great way to enjoy the games, though you should note that bonuses can’t be cleared in this part of the site. Check out our betfair review for more details. This casino is exclusively open to US players. They have both US and European Roulette wheel, including a mobile version of their European Roulette game. You’ll enjoy comps and a huge list of entertaining and profitable promotions at this casino – which will keep your bankroll nicely topped up. While the welcome bonus does exclude Roulette, this will clear quickly in many other games. Check out the excellent www.bovada.lv for yourself now!